Capacity up to 5 Kg. We are occupied with offering execution arranged Pulses Packing Machine that is particularly intended to concentrate on the freshness with high review pressing. The machine is made with utilization of industry review segments that makes it exceptionally effective and ceaseless execution and incredible efficiency. Since the offered machine needs low upkeep this does not prompt to extend periods of time of downtime and guarantee more prominent efficiency and low expenses. 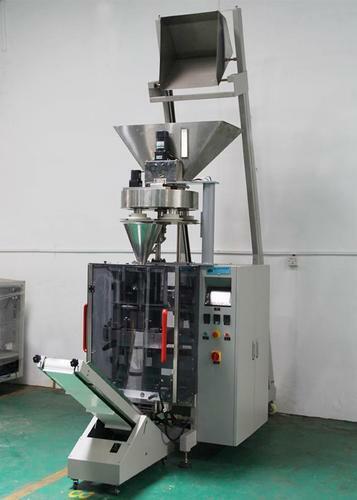 Unitek is a specialist in design & manufacturer and exporter of high quality precious Automatic Sachet Packaging Machines, for solid, liquid, granular & irregular shaped products. Unitek machine provides the most efficient & economical solution to pack tea, salt, pepper, namkeen, snack food, cereals, coffee, pulses, rice, spices, seeds, pesticides, shampoo, hair oil, lubricants, edible oil, paste, supari, mouth freshener pickle, seeds, etc. We also believe in the innovation of new products, quality, service & support to our client's. Unitek machines are designed with technical perfection and rugged construction so as to meet with our client requirement exactly both now and in years to come. Unitek is a professionally managed organization, very well supported by the state of the art of the manufacturing unit equipped with all requisite facilities with the use of cutting edge technology. We ensure to develop our entire range in compliance with the international quality standards. Our professionals are working in close association with each other to complete the ordered consignments and delivering the same within the given time frame.